Philadelphia based psych rock band Ruby The Hatchet brings us some intensely tripped-out grooves with their third record ‘Planetary Space Child’. With any successful psych rock band, the psychedelic elements take the forefront over anything else. Within their deeply laid back grooves is a fire that elevates them to a higher level. 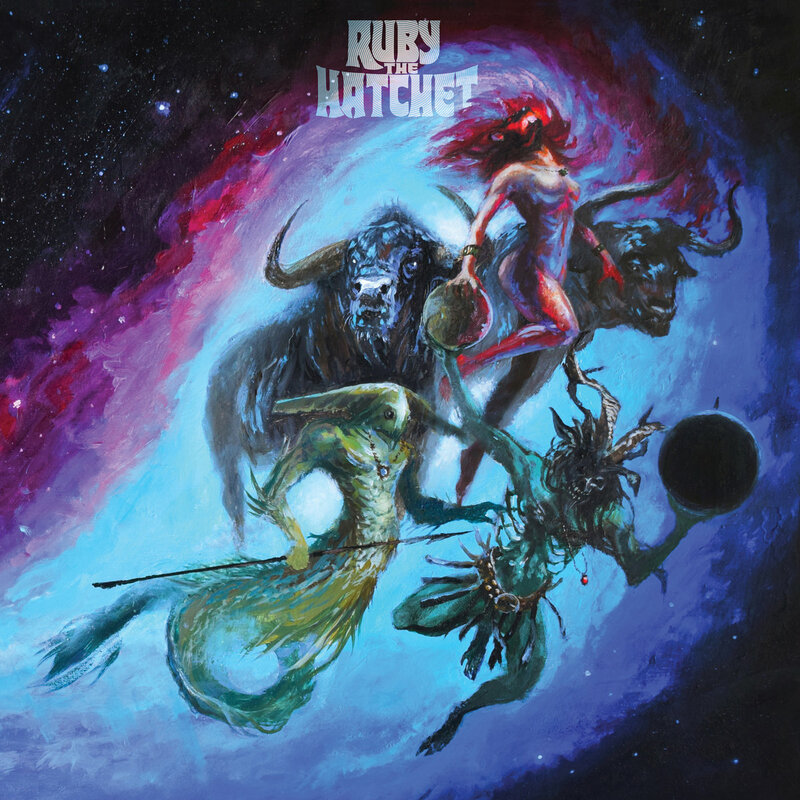 The production on ‘Planetary Space Child’ drives a great strength into Ruby the Hatchet. 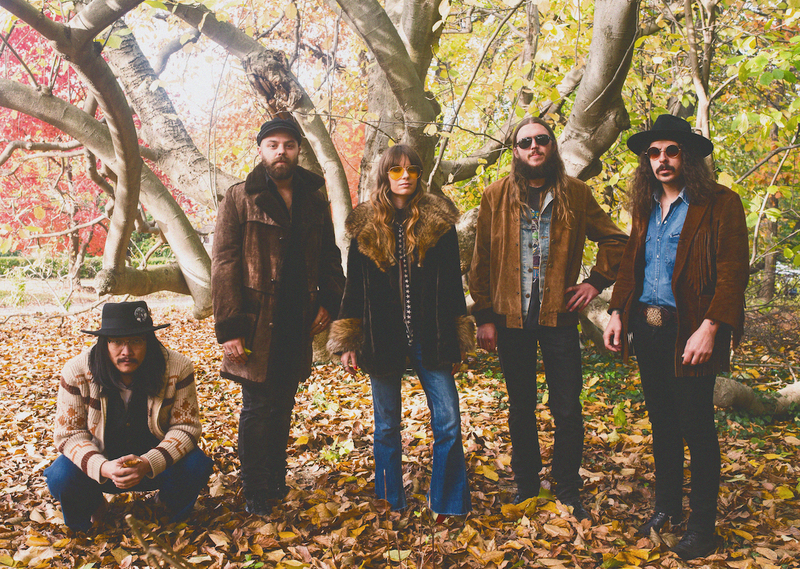 Much like Deep Purple, Ruby The Hatchet is a band that drives psychedelic grooves with a rock n’ roll fire that elevates the music beyond simple psych rock. Granted, Ruby The Hatchet is a lot heavier than Deep Purple; though the similarities are still very apparent. The record opens with a spacey-synth noise start to ‘Planetary Space Child’ that swings into an instrumental jam which features a slight hint of doom influences. While the intro track introduces a psych-tweaked doom groove, much of the album strives to achieve much more, to great success. Tracks like ‘Killer’ power through with a heavy groove that constantly flashes incredibly slick keyboard licks. The keyboard is one of the more noticeable and exciting elements within this record as it constantly flairs about throughout the tracks. The spacey, jammy vibe of the keys invoke a similarity to many ’70s keyboard stars such as Jon Lord. It’s not an element that takes the forefront of the music, rather it sits back and enhances the atmosphere while swiftly kicking in licks at every opportune moment. This record follows two noticeable style differences, either they play with atmospheric indulgences to create the foundation for their music or they deliver a more straightforward groove piece. This is wonderful due to the fact that it adds a great sense of variety to the record. The final track of the record, ‘Lightning Comes Again’ takes the atmospheric presence and powerful psych grooves and makes for an electric closer. The final track is a pretty great descriptor of the record itself; the lightning that is Ruby The Hatchet striking with great intensity. ‘Planetary Space Child’ is a record that bends the elements of psych rock to create a package full of intense grooves. The atmosphere built up across the record has a strength to it that only flourishes as the record goes on. Ruby The Hatchet takes a recognizable genre and twists it just enough to create a powerful identity with ‘Planetary Space Child’.